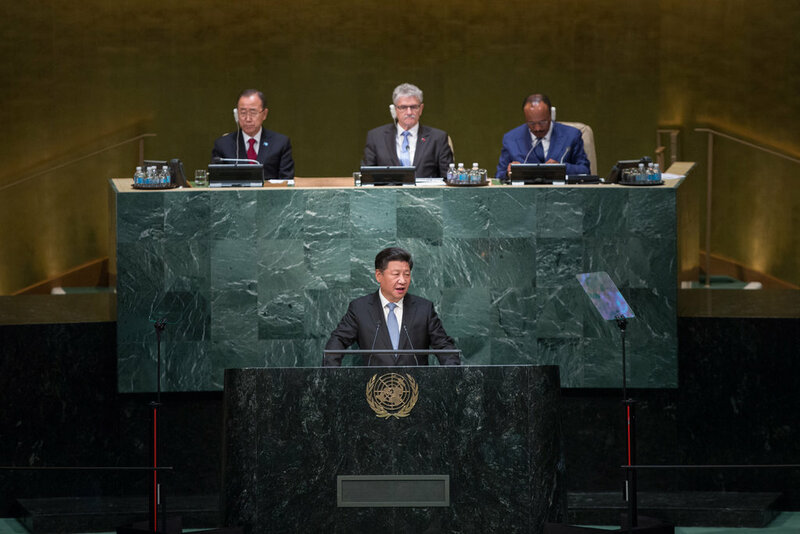 Chinese President Xi Jinping announced Saturday a major initiative to help developing countries reduce poverty. The "Six 100s" initiative, declared at a South-South cooperation roundtable Xi hosted, covers poverty reduction, agriculture, trade, environment, health and education. China, he said in an address, will make available to developing countries in the next five years 100 poverty reduction programs, 100 agricultural cooperation projects, 100 trade promotion programs, 100 environment protection and climate change programs, 100 hospitals and clinics, as well as 100 schools and vocational training centers. Also during the period, Beijing will provide 120,000 opportunities and 150,000 scholarships for citizens of developing countries to receive training and education in China, and help nurture 500,000 professional technicians for the developing world, Xi added. China, said the president, will also set up an Academy of South-South Cooperation and Development, and provide 2 million U.S. dollars of aid in cash for the World Health Organization.